The ETAF 0...10VDC Fan Speed Output Standalone LCD Fan Coil Thermostats are designed to control heating, cooling, or year round air conditioning units in commercial, industrial and residential Installation. Typical application includes the control of fan coil units, packaged terminal air conditioners and combination heating and cooling equipment. As part of the system that consists of two-way or three-way valve and a multi-speed line voltage fan. NC24A RS485 Modbus RTU networking LCD universal controller applies communication technology of Modbus RTU master/slave protocol to monitor and supervise year around air conditioning units in commercial, industrial and residential Installation. 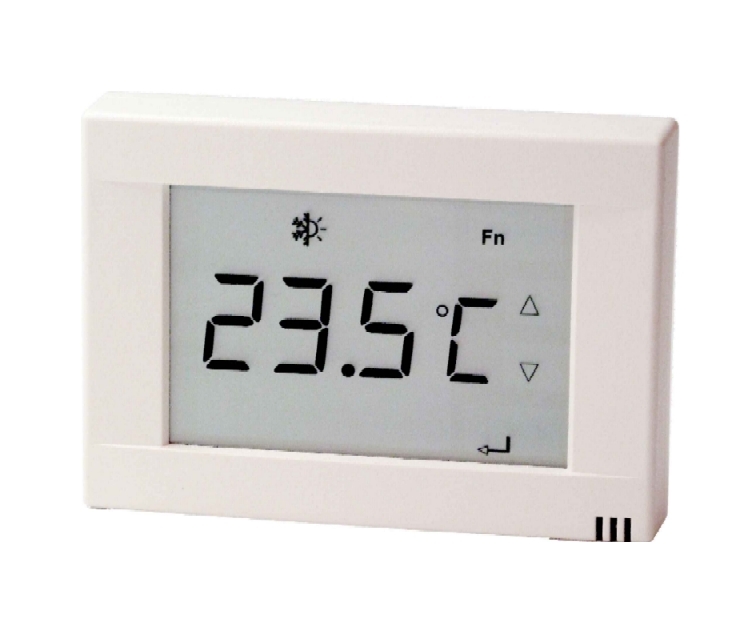 Measurement and control of temperature, relative humidity, absolute humidity, enthalpy, pressure differential, volumetric airflow and indoor air quality. The input scale can be set from �C99 to 999 units. The start and end points of output voltage can be any value between 0 to 10 VDC. The maximum number of NC24A slaves in a Modbus RTU network is 32. Optional BACnet MS/TP Gateway module (BMG-NC24A) is available for order. It works as an interface to link up the NC24A controllers with BACnet MS/TP communication bus. Please refer to the product bulletin of BMG BACnet MS/TP Gateway for details. The NT10 Series RS485 Modbus RTU networking LCD Fan Coil applies communication technology of Modbus RTU master/slave protocol to monitor and supervise year around air conditioning units in commercial, industrial and residential Installation. Typical application includes the control of fan coil units, packaged terminal air conditioners and combination heating and cooling equipment, as part of the system that consists of two-way or three-way valve and a multispeed line voltage fan. The maximum number of NT10 slaves in a Modbus RTU network is 32. Optional BACnet MS/TP Gateway module (BMG) is available for order. 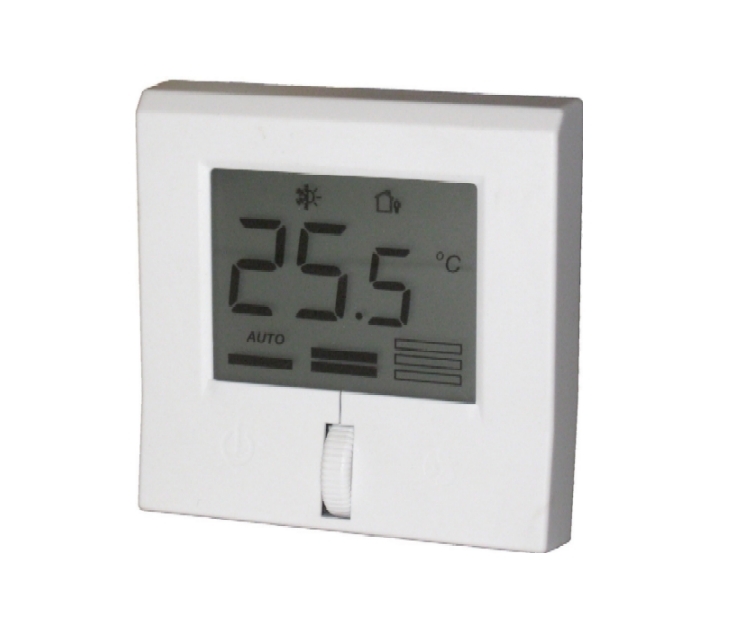 It works as an interface to link up the NT50 thermostats with BACnet MS/TP communication bus. Please refer to the product bulletin of BMG BACnet MS/TP Gateway for details. NSM is an active LCD Set-point Module energized by 24 VAC supply. It provides two 0...10 VDC signals to the external controllers which are directly proportional to display read-out of sensing device and set-point range. 24 VAC digital output is activated by the system button that gives signal to external controller for purposes of energy-saving mode or other status on-off control applications. NSM allows authorized agent to change certain number of operating parameters. 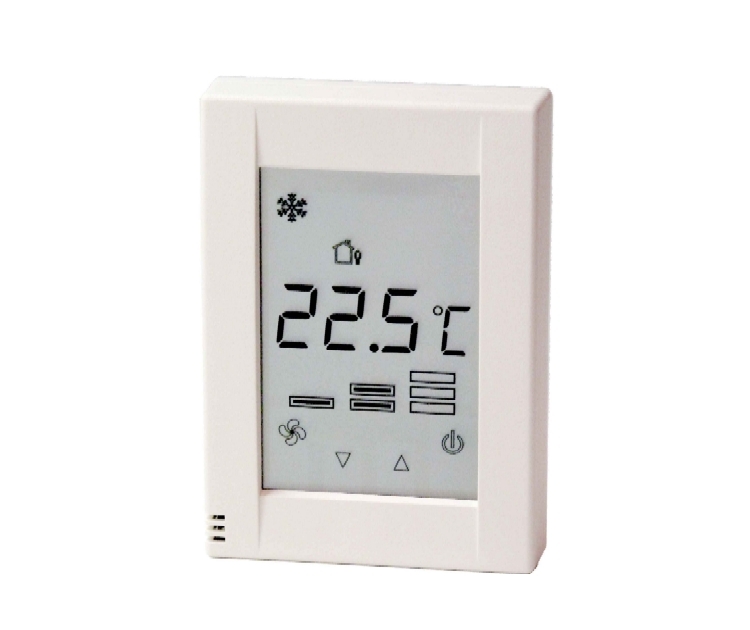 The NT900 Series networking touch-screen room thermostats are BACnet Master-Slave/Token-Passing (MS/TP) networked devices designed in strict accordance with ASHRAE standard 135-2001 and are considered “native” BACnet devices. These thermostats provide line voltage or 24-VAC on-off control or 3-wire floating or 0-10 VDC output to control valves in 2-pipe or 4-pipe fan coil units. The technologically advanced NT900 Series thermostats feature a BACnet MS/TP communication capability that enables remote monitoring and programmability for efficient space or return air temperature control. 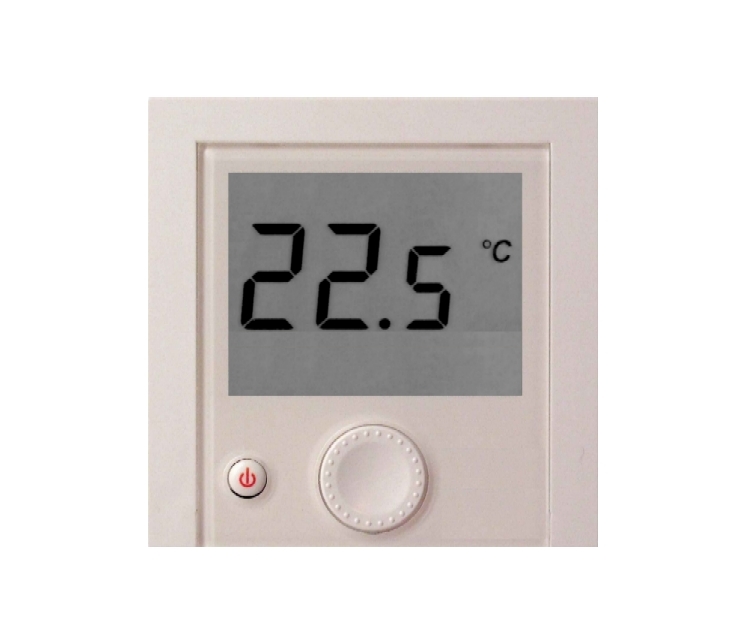 TS24 Touch-screen Series Standalone LCD Digital Temperature Controller is designed for temperature control in industrial, commercial and residential environments. It features microprocessor-based control and a large LCD display with backlight. TS24 provides various models for different applications; 3-wire floating or 0-10 VDC control outputs which combines a proportional plus integral (PI) control algorithm for precise and stable control under varying system capacity and load conditions. SA-01 is an active LCD setpoint adjuster energized with 24 VAC supply that is designed for use with external controllers. It provides 0...10VDC signal directly proportional to the adjusted value of percentage. The LCD display and the rotary dial allow the users to view and adjust the output value in unit of percentage . It operates with a priority selector that compares the setpoint with either minimum and maximum limit signal. 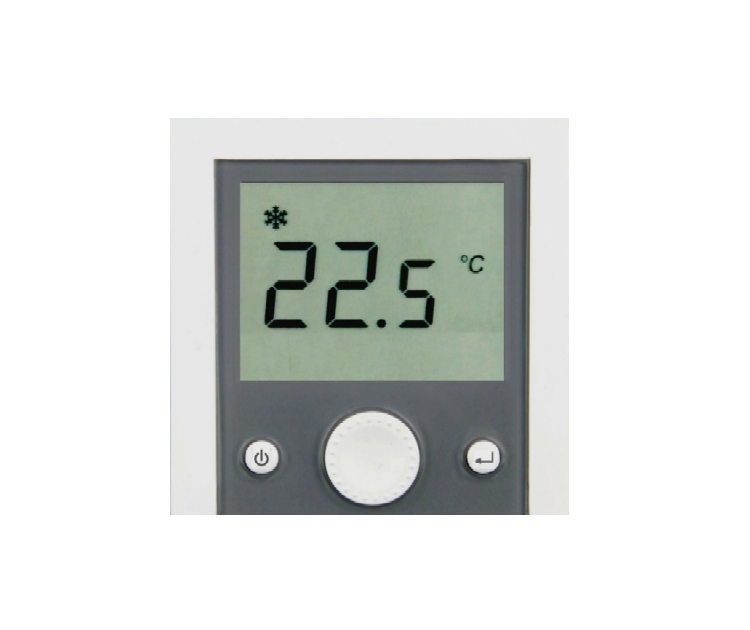 The UC24A Universal Controller is designed for Heating, Ventilating, Air-conditioning and Refrigeration in comfort control of industrial, commercial and residential environments. It provides measurement and control of temperature, relative humidity, absolute humidity, enthalpy, pressure differential, volumetric airflow and indoor air quality. The input scale can be set from �C99 to 999 units. The start and end points of output voltage can be any value between 0 to 10 VDC. UC24A standalone controller provides two direct or reverse 0...10 VDC outputs and one direct or reverse 2-position on-off output. 9 selectable control functions are provided for various applications. 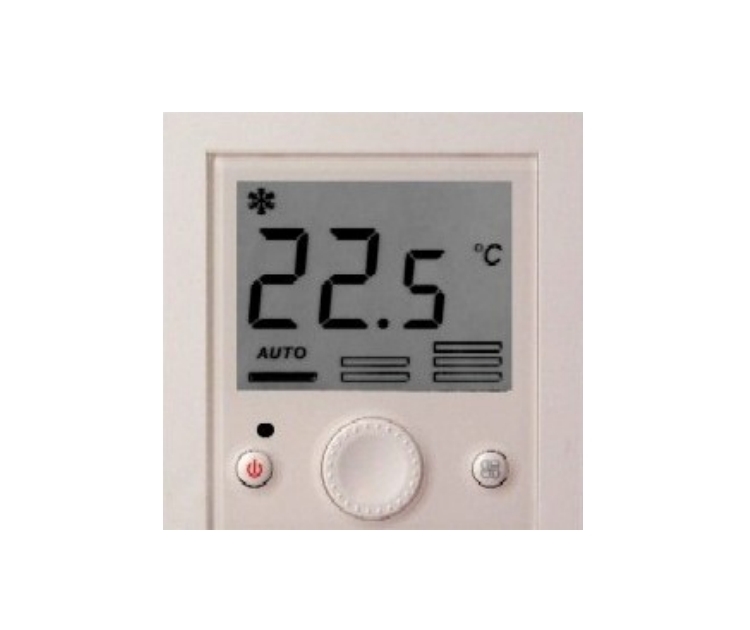 The ET200 Standalone LCD Fan Coil Thermostats are designed to control heating, cooling, or year round air conditioning units in commercial, industrial and residential Installation. Typical application includes the control of fan coil units, packaged terminal air conditioners and combination heating and cooling equipment. As part of the system that consists of two-way or three-way valve and a multi-speed line voltage fan.